GoConnect, a free iPhone app, is out to simplify real estate agents’ lives by organizing their tasks, business events and contacts in one mobile toolbox. “When you’re busy, it’s the little things that fall through the cracks,” said Zach Schabot, GoConnect’s founder. “Did the fliers get refilled? Did I send a copy of the contract to the lender?” are some of the questions Schabot says raced through his head as an agent trying to keep track of five listings and five buyers on any given day with sticky notes, Excel spreadsheets and paper checklists. GoConnect is meant to replace those and help real estate agents juggle their busy, on-the-go work lives and prioritize what’s most pressing on any given day, Schabot said. Schabot, who started out as an agent in 2001 soon after graduating from college and now helps run Go Realty in Cary, North Carolina, said the idea for GoConnect came from searching for an app like it last year and not finding one. 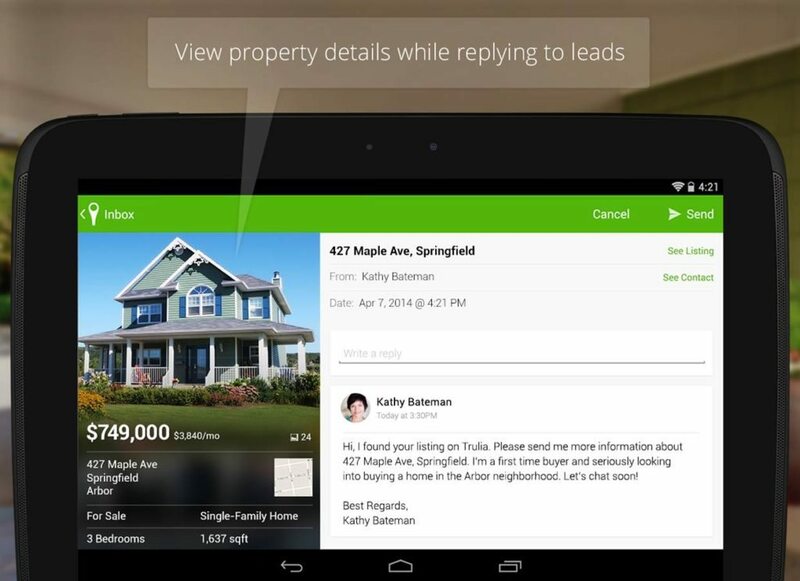 Real estate agents have a plethora of apps at their fingertips: to help them capture and stay in touch with leads from open houses; to manage leads from a specific portal (Trulia); to create listing presentations; and to access their multiple listing service. But GoConnect might be the first app that helps agents organize almost every aspect of their daily work life in one mobile platform. GoConnect, which launched out of beta in April and is currently available only for smartphones, features a daily to-do list in upright view and a multiday layout when users orient their smartphones horizontally. 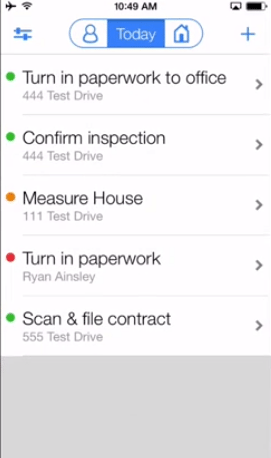 GoConnect’s daily task list alerts agents to tasks they have to do today. Once completed, agents can swipe them away. In the daily-task view, agents can swipe tasks away from the checklist as they either complete or schedule them for later, giving them the satisfaction of crossing items off a list. Swiping right to left gets rid of an item. A left-to-right swipe allows agents to reschedule the task, and shaking the phone allows agents to undo the action. 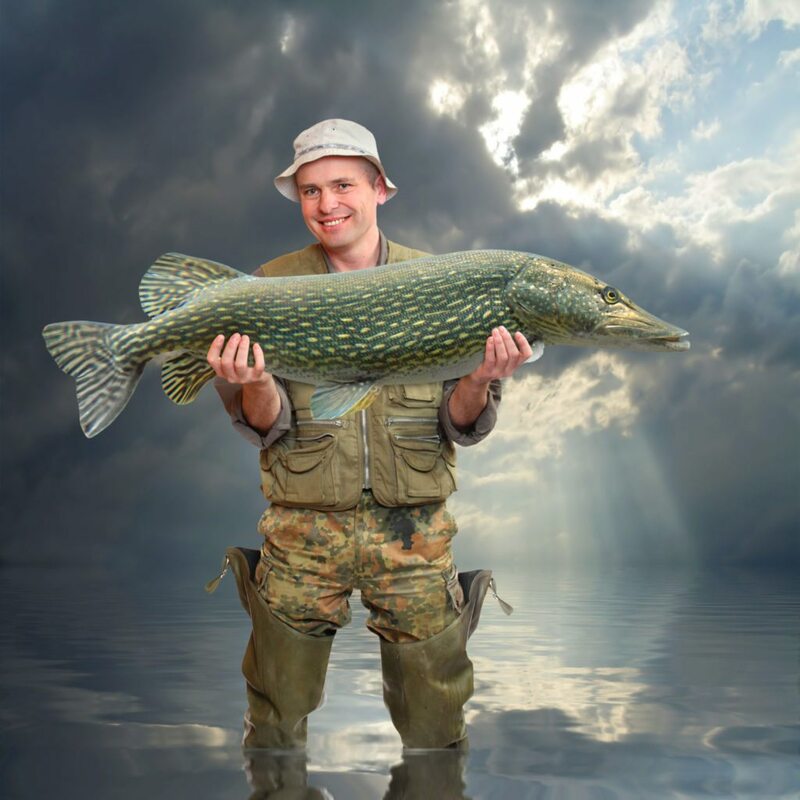 The app’s daily task screen is not populated by agents on a day-to-day basis, but is filled automatically with tasks associated with the deals and leads already set up by agents in the app. GoConnect also adapts as deals progress through their lifecycle. Whether a listing moves on to the closing process or a contract is canceled, GoConnect automatically updates the task list associated with each event, Schabot said. The app organizes an agent’s deal-related workflow based on four business events: new listings, buyer under contract, sold listings and post-closing. Agents can customize the workflow for each of the four types of deals they do in the app’s setting section. 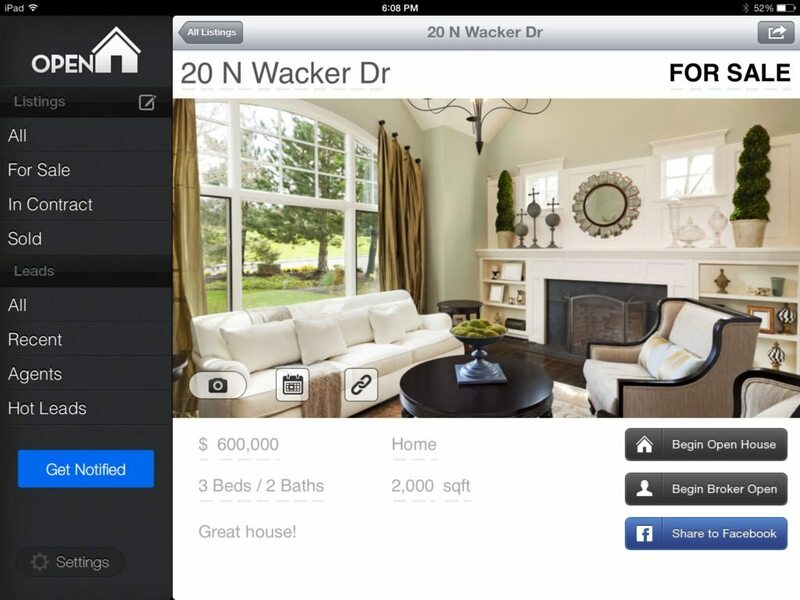 For example, agents can choose how they want tasks to flow after signing a new listing. If they want to schedule a home staging three days after signing a listing agreement, they can set the app up to add that task and timing whenever they get a new listing. 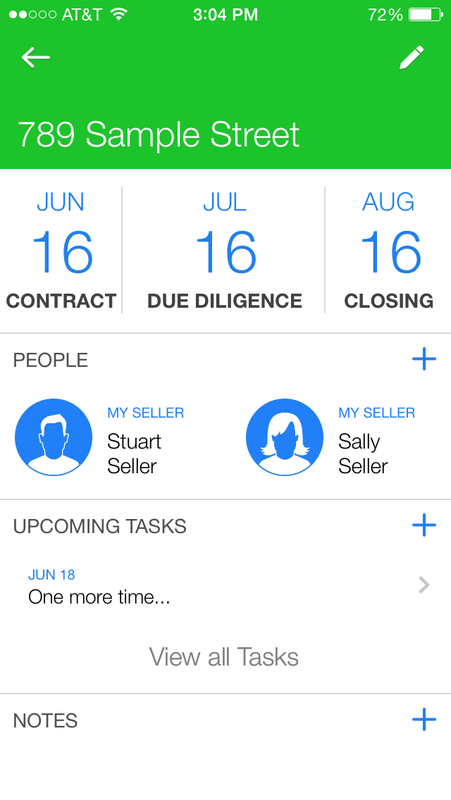 There’s a prepopulated list of tasks for each type of deal in the GoConnect app, but agents can add customized ones or remove some of the tasks that come with the app. Once agents fine-tune how they want to handle each new business event, the app will automatically lay out their tasks for them, both as a daily to-do list that fills up with duties on the appropriate day and the horizontal-view multiday list. GoConnect’s business events section groups all tasks, people and notes in one place for each deal. From the vertical view, users can also access their current book of business, navigate to their contacts, add new business and navigate to settings. By clicking on an item in the business-related section of the app, a screen pops up showing agents the important dates related to the deal, the people involved, upcoming tasks to be performed and any notes they’ve made about the transaction. Agents can add people to a transaction or contact them, change dates and add other info related to the event from this screen. Lead management was a late addition to GoConnect, Schabot said. The app started as an agent checklist tool, but it became clear that users wanted to be able to organize leads in the app after several months in beta, he said. 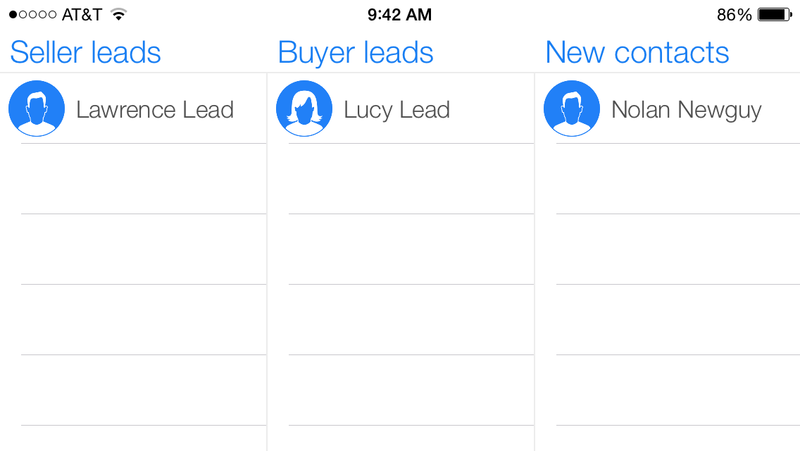 When agents rotate their phones horizontally in the app’s contact section, they can see their leads organized by sellers, buyers and new contacts. GoConnect is not meant to replace a powerful desktop customer relationship management platform, Schabot said. But the lead management features ensure that the app has agents’ most basic needs covered, he said. Agents can add every person relevant to a deal as a contact in the app and contact them easily by phone, text or email. As with business events, agents can set up customized and time-sensitive action plans for each buyer and seller lead they get. The app incorporates these plans into the daily to-do lists. GoConnect allows users to see all their leads in one view. GoConnect has plans to release an Android version of the app on June 15, but has no plans to design it for desktop computers at the moment, Schabot said. 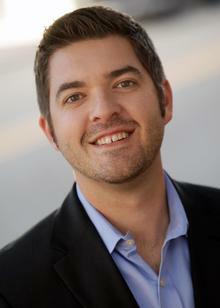 “We’re trying to prove that mobile can live on its own if we do it really well,” Schabot said. The app is free to use, but users can pay $2 per month to back up their data in GoConnect’s cloud storage service. GoConnect has plans to release a paid Pro version that will be available for tablets and will allow agents to use the tool across devices, access reports related to their GoConnect activity and data, and export their data.